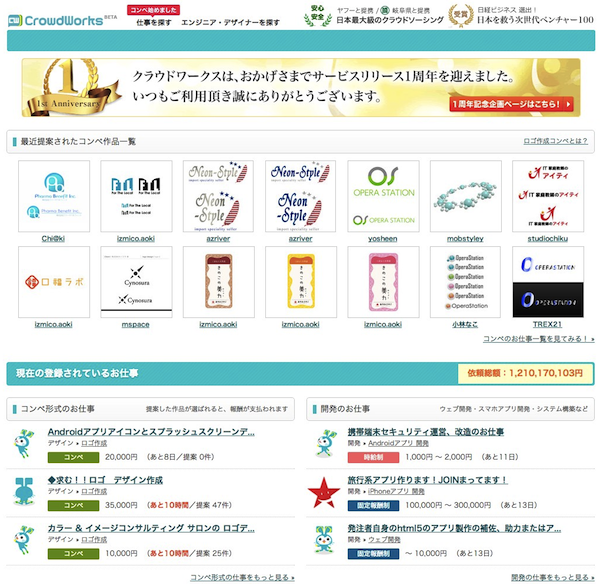 Home Features Can crowdsourcing startups change Japan’s employment landscape? Can crowdsourcing startups change Japan’s employment landscape? This article is based on an interview published on our Japanese-language site (see part one and two). It has been partially modified for our global audience. Employment in Japan has traditionally been a cradle-to-grave sort of system, but given modern day economic challenges, many people are facing difficulties. Many workers are faced with finding alternatives when the notion of a full-time job doesn’t work out. Recent government statistics show that 94% of 4.5 million Japanese companies only have a single office. Larger companies with more than 10 offices across multiple locations only account for 0.4% of all Japanese business. But in which category of business do most employees fall under? 31% of the entire national workforce belongs to the 0.4% of big companies. Out of the entire Japanese workforce of 62.3 million people, 55 million of those are employed by someone else, and 7 million people are self-employed or working with their family businesses . These figures show that many workers are concentrated among a very small number of big companies here in Japan. Given that this distribution will likely not change soon, how can Japanese workers prepare for what will happen to the national economy in the future? Being a so-called ‘crowdsourced’ worker is an alternative solution when it comes to finding employment. Crowdsourcing (in the context of this discussion) is a concept that matches task requests with individuals who can do the work. The most notable examples of this process are US-based services oDesk and Elance. These days some people can even make a living from such jobs. 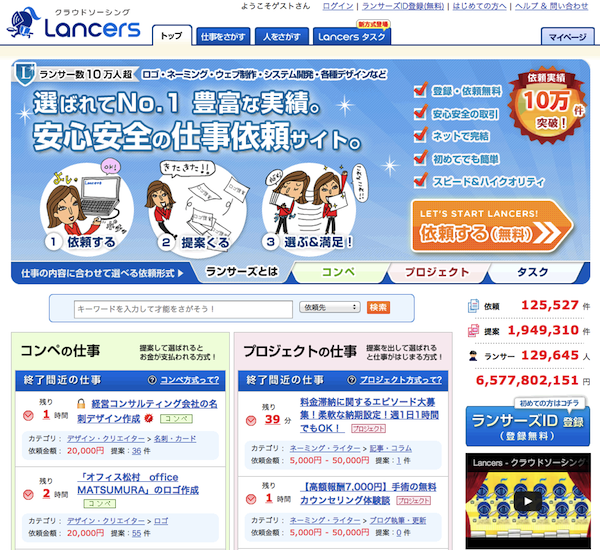 Recently we spoke with two key people in Japan’s crowdsourcing space: Yosuke Akiyoshi, the co-founder and CEO of Lancers Inc., and Koichiro Yoshida, the co-founder and CEO of CrowdWorks Inc.
Mr. Akiyoshi says that with his Lancers service, some workers can earn as much as 7 or 8 million yen ($70,000 to $80,000). The platform is home to 120,000 freelancers from all around Japan. 70% of users reside in suburban areas or countryside. Some people make more than 3 million yen (about $30,000) using the platform. Needless to say, that’s enough to make a living. There are now about 10,000 tasks listed on the platform, three times the amount of tasks listed last year. We saw the rapid growth since 2011. 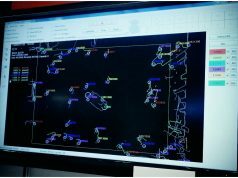 Our operations have expanded from two people in 2008, to 11 people in 2011, to the 30-person team we have now. Helping people work regardless of geographical location is the startup’s concept. And true to that notion, Lancer itself is based in the quiet Tokyo suburb of Kamakura, where they can concentrate more on the service development. Recently they are seeing a decent number of task proposals including jobs like copywriting, proposal writing, web design, or sales outsourcing. With the platform, Akiyoshi hopes to contribute to creating a world where people can find good work and better living. CrowdWorks is another key player in this field, and its website features many voices from people who use the platform. 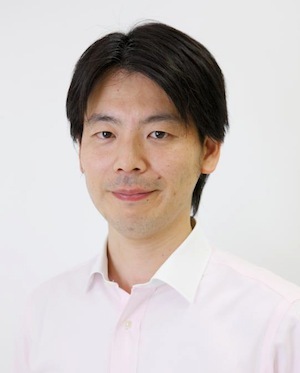 When I asked CrowdWorks’ CEO Koichiro Yoshida if crowdsourced work has become a mainstream working style, he answered me by relating the following story from a housewife who lives in Tokushima Prefecture and uses their app. I’m glad to see a world I’ve never seen before, getting in touch with the interests of the younger generation. I’m also amazed that the platform provides us with equal accessibility to tasks regardless of where we live. I retired and moved to the countryside but the platform gives me the great opportunity to keep working at home. For most people, their daily work is more than just earning money. It’s also a means of giving your life a sense of purpose. Crowdsourcing can help them find such a purpose in their lives as well. Every worker has a preferred style for working. 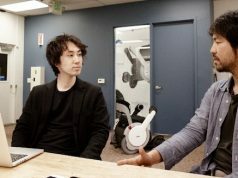 And CEO Yoshida says that freelancers can pursue a sort of career optimization in finding the projects that best suit their needs and style. Take for example, PC operating systems. These days we have many choices ranging from licensed systems (like Windows or Mac) to open source (Linux) systems. Likewise, people employed at governmental offices or big companies can be seen as a ‘licensed’ way of working. What we’re proposing is to develop an open source way of working. Some people use the platform to finding a side job, and others use it to making a living. It’s meaningless to try to figure out which is the better route, but what’s important is give people more options, more ways to work. 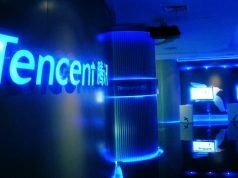 The service was launched in March of 2012, and has acquired more than 5,000 corporate clients who are posting jobs on the platform. So far projects worth more than $12 million have been matched in the year since the launch. Back in last October, Crowdworks raised a total amount of $3.75 million (300 million yen) from Itochu Technology Ventures, Digital Garage, and Suneight Investment, with aiming to expand their business in the South East Asian region. We’ve asked the both startups about why the Japanese crowdsourcing market has been on an upswing during the last few years. Both Akiyoshi and Yoshida say that it appears to have stemmed from the tragic 2011 earthquake. That disaster also encouraged several Japanese crowdfunding sites to launch as well. 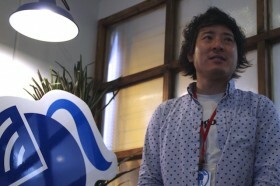 Akiyoshi pointed out that the disaster might have triggered the recent boom in the crowdsourcing market. It has brought us newly-coined phrases like ‘nomad working,’ and it has prompted many companies to permit their employees to work from home. These crowdsourcing startups are presenting a fascinating alternative to conventional working styles in Japan, and in the process they are creating an employment ecosystem that’s helping many individual workers face the challenges of our current economy.